Laugh Your Way Through Labor! 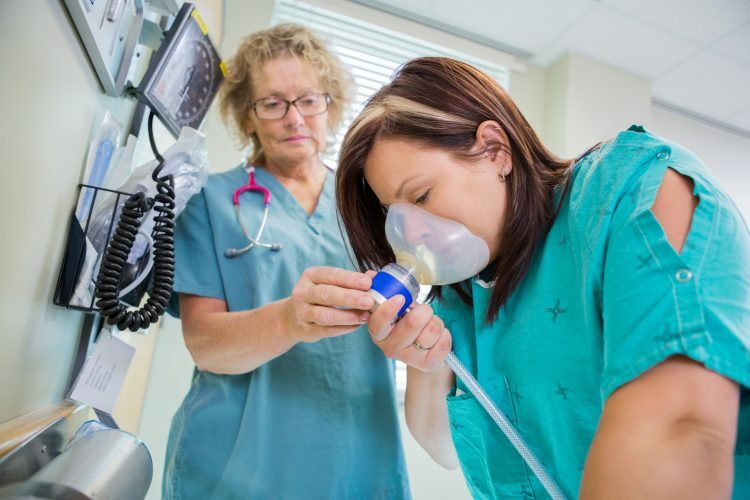 Using Nitrous Oxide for Labor Pain. Home » Blog » Laugh Your Way Through Labor! Using Nitrous Oxide During Labor. We are excited to announce another great birth CHOICE for our clients! 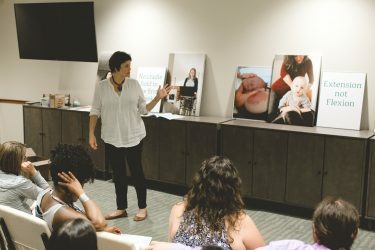 Nitrous oxide or “laughing gas” is now available to our clients who are delivering their babies at Hoboken University Medical Center and will soon be available at Morristown Medical Center! Women in Australia, Canada, Finland, Sweden and especially in the U.K. have been using Nitrous oxide,“gas and air”, for labor pain for decades with great satisfaction. Since the 1970’s, it has not been readily available for American women because of the availability and popularity of epidural anesthesia. But using Nitrous Oxide is making a comeback! Using Nitrous oxide during labor is safe. After decades of use, nitrous oxide has never be shown to have an adverse effect on babies before or after their birth. Intravenous narcotics and epidural narcotics both have potential negative effects on the baby. Nitrous takes the edge off. Women can feel a lot better about their cramps, backache and pelvic pressure with “gas and air” and still be able to walk around and urinate without catheterization. Laughing gas makes a person feel relaxed and unafraid; the perfect duo for labor progress! Nitrous is patient-controlled. Using nitrous oxide during labor allows for a very independent mode of managing labor discomfort. The medicine is self-administered through a mask. The woman will drop the mask from her face when she is relaxed and she can put it back on as soon as she desires. Nitrous Works fast. The effects of inhaling Nitrous Oxide start immediately, take about 2 minutes to reach peak effect and completely clears the woman’s system five minutes after stopping it. She will be taught how to use the system so that it is working best when the contractions reach their peak. Nitrous has no ill effects. Labor progresses normally and there is no increase in complications for the mother or the baby. There is no need for more intensive fetal monitoring based on the inhalation of Nitrous Oxide alone. Nitrous works everywhere. As long as a woman is well-supported and supervised, she can be out of the bed, even in the tub when using nitrous oxide during labor. Even when a woman plans a natural birth, she still might hit a point in labor when an epidural sounds like a great plan. But she is often disappointed later if she doesn’t have the birth she planned. Sometimes the epidural may cause complications that result in a more medical birth. Using Nitrous Oxide during labor gives a woman an alternative option that just might get her over the hump until it is time to start pushing. She can then jump in the tub and have a nice waterbirth! Laughing all the way to the delivery! Will nitrous be available at the Birthing center?? Hi Brittany! Yes we are happy to say that Nitrous is available at the birthing center.